Breast cancer is a highly heterogeneous malignancy. The triple-negative breast cancer (TNBC) and human epidermal growth factor receptor 2 (HER2) breast cancer subtypes are highly aggressive and are associated with a poor prognosis. 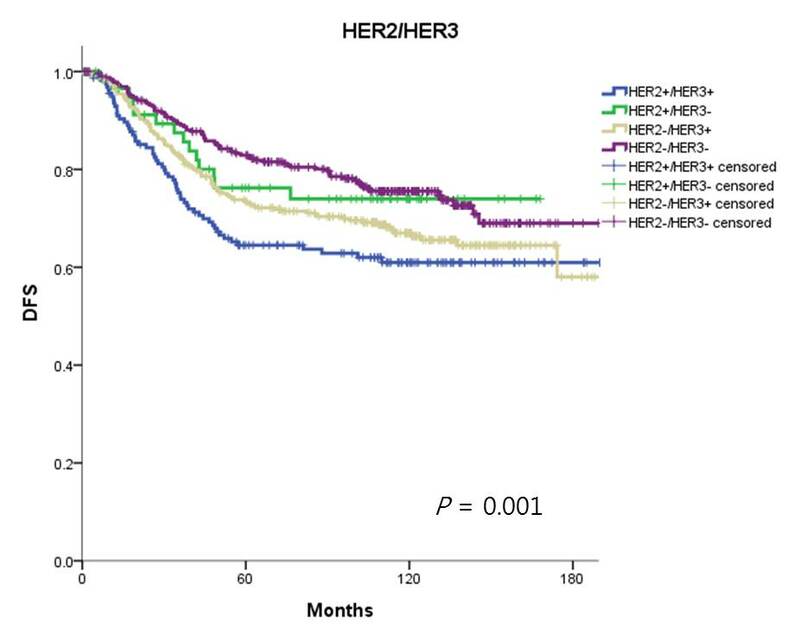 The therapeutic targets for TNBC remain undefined, and many patients with the HER2 subtype acquire resistance to therapy after prolonged treatment. The objective of this study was to evaluate the prognostic significance of HER3 expression in invasive breast carcinoma. We established matched tissue microarray (TMA) blocks and clinical data from 950 cases of invasive breast carcinoma with long-term clinical follow-up data (median 109.7 months). Using the TMAs, we characterized the expression of ER, PR, HER2, EGFR, and HER3 by immunohistochemistry. Each case was classified as one of four IHC-based subtypes based on the expression of hormonal receptor (HR) and HER2. The clinicopathological characteristics and survival of 950 patients were analyzed by subtype. In the TNBC subtype, the HER3(+) group showed poorer disease-free survival (DFS, P = 0.010) and overall survival (OS, P = 0.015) than the HER3(−) group. 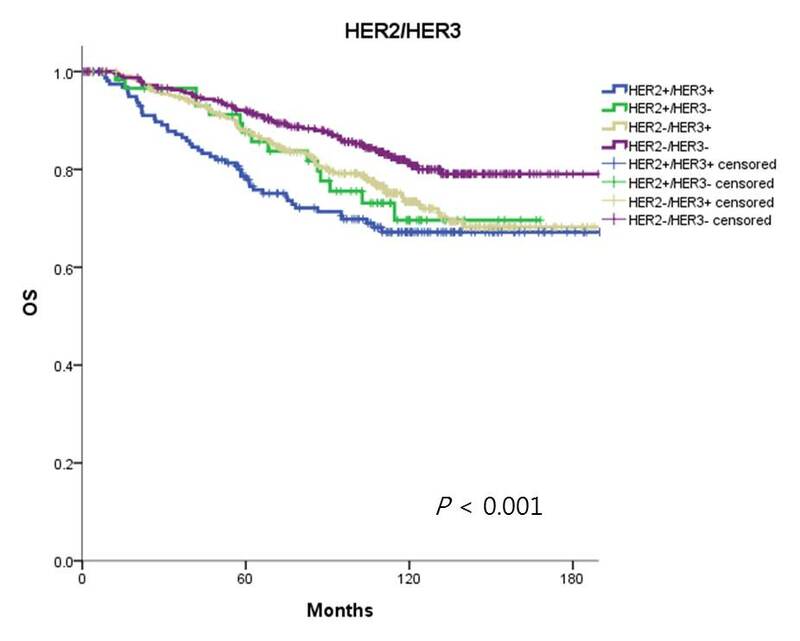 In the HER2 subtype, the HER3(+) group also showed poorer DFS (P = 0.022) and OS (P = 0.077) than the HER3(−) group. 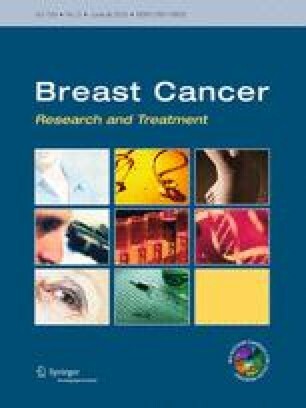 However, there was no difference in patients with HR-positive breast cancer. HER3 expression was associated with poor DFS in both the TNBC and HER2 subtypes and poor OS in the TNBC subtype. 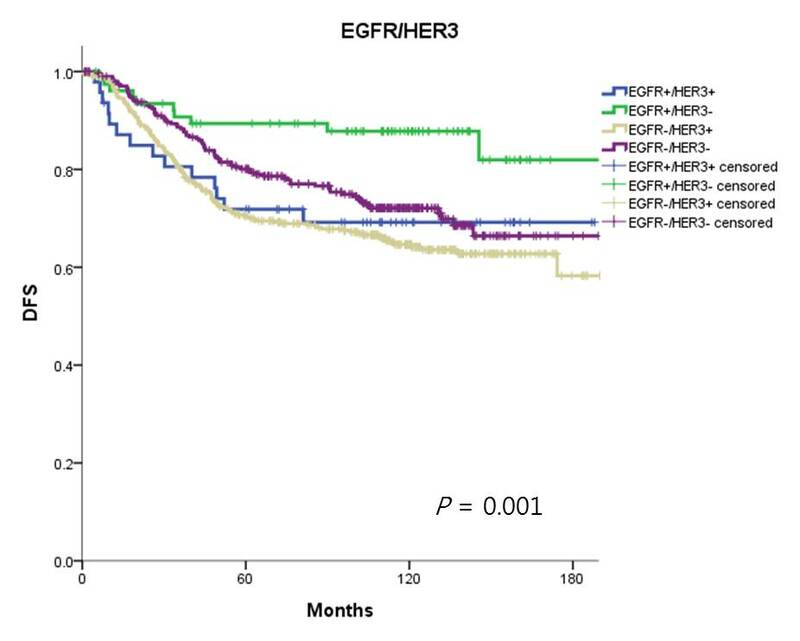 HER3 overexpression is an important prognostic marker in hormone receptor-negative breast cancer, and further study is needed to clarify the role of HER-3 targeted treatment. The online version of this article (doi: 10.1007/s10549-013-2570-6) contains supplementary material, which is available to authorized users. This work was supported by a grant of the Korea Healthcare Technology R&D Project, Ministry for Health and Welfare Affairs, Republic of Korea (A092255) and in part by Samsung Biomedical Research Institute grant [GL1B32711].